The 10th anniversary edition of the "New York Times "bestseller and international classic loved by millions of readers. 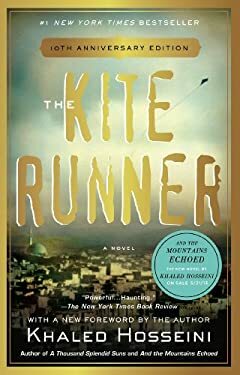 The unforgettable, heartbreaking story of the unlikely friendship between a wealthy boy and the son of his father's servant, "The Kite Runner" is a beautifully crafted novel set in a country that is in the process of being destroyed. It is about the power of reading, the price of betrayal, and the possibility of redemption; and an exploration of the power of fathers over sons--their love, their sacrifices, their lies. A sweeping story of family, love, and friendship told against the devastating backdrop of the history of Afghanistan over the last thirty years, "The Kite Runner "is an unusual and powerful novel that has become a beloved, one-of-a-kind classic.